We have a team of several engineers with varying degrees of experience in both web and mobile technologies. The app is built using React Native, so we had a learning curve with everything when we first started because it was new technology for everyone on the team. We’re really happy with that decision now though, as it allows us to build features and iterate on them very quickly! At 'NerdWallet', all of our work is guided by our core values. These values provide a shared framework across the company for collaboration and growth as we strive to deliver on our mission to clarify all of life's financial decisions. 'Apple News' - it’s the perfect representation of Apple’s design system and gives us a great paradigm with which to model our own content experiences after. Our app originally launched in October of 2017, so just over 1 year. For many Americans making a personal finance decision can be overwhelming and confusing. Consumers often turn to friends and family for advice, that don't have the best answer many times, or to financial advisors and banks that may not have their best interests in mind. 'NerdWallet' is on a mission to provide clarity for all of life’s financial decisions. 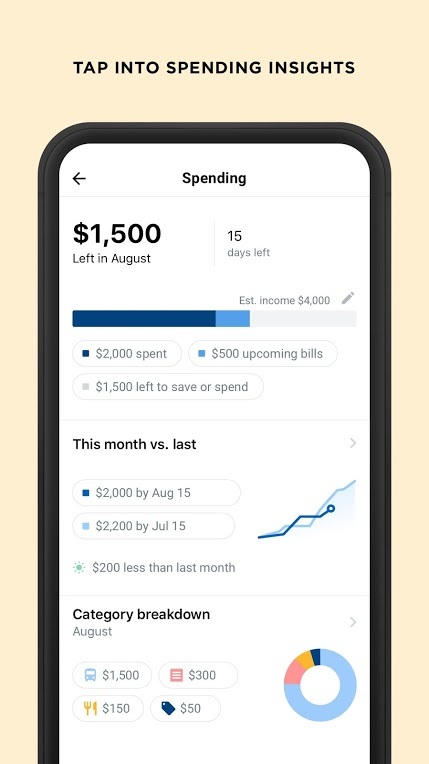 The 'NerdWallet' app provides consumers with personalized, unbiased and actionable insights so they can make smart money moves. 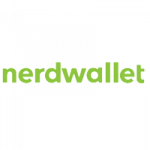 From finding the best credit card to buying a house to investing their next dollar, and more, 'NerdWallet' is there to help consumers make financial decisions with confidence. Our app helps people understand the holistic picture of their finances and gives them ways to improve their situation through actionable insights and recommendations. The data-driven membership experience helps them stay on top of their finances, and save them time and money, giving them the freedom to do more. Unlike most apps on the market, we go beyond just reading financial statements. We’re investing in building deep, lasting relationships with our users to help them with financial decisions. 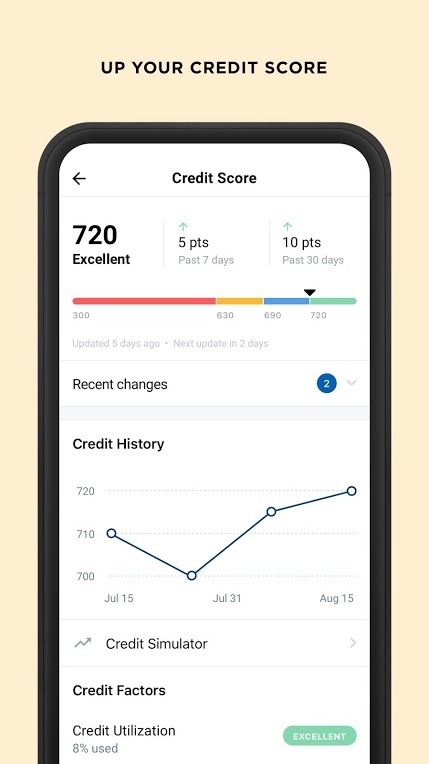 We want consumers to be able to get more for their money, so in addition to helping consumer track and manage their finances and credit score, we provide personalized recommendations, guidance and insights to help users improve their finances over time. Sign up, check it out, and tell your friends. 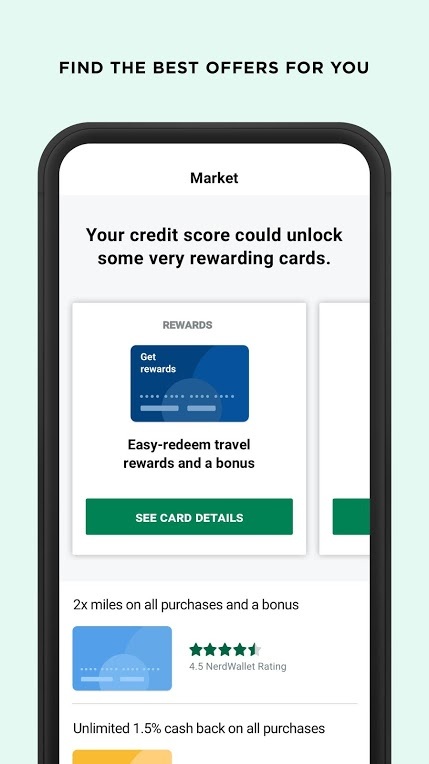 About App: Whether you want to maximize credit card rewards, earn extra cash back, track your credit score or make budgeting easier, it’s all here. 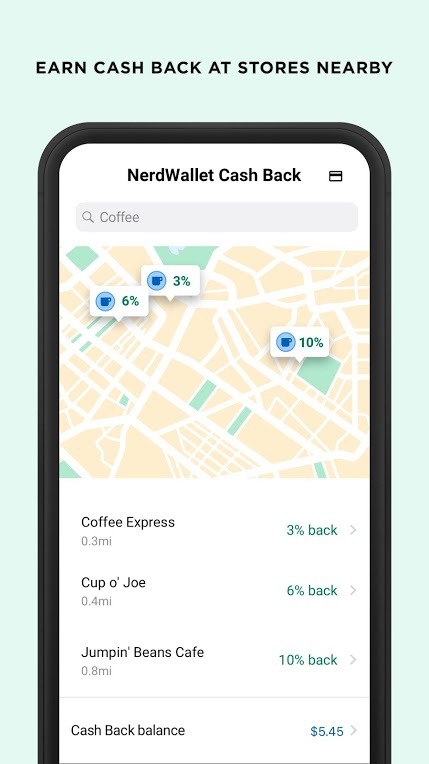 Download the app today and join the millions of people who are already using NerdWallet to make smart money moves. A lot of apps show an overview of your finances in one place. We do that too, plus we make it easy to track your credit score, tackle budgeting and see where you could be saving more. We’ll spot the trends in your spending, categorize your expenses and show you whether you’re on track to have extra cash at the end of the month. Maximize credit card rewards for your next getaway, lower your mortgage payments and earn 2-10% cash back with the card you already carry - we’ve got you covered. We always have your security in mind. Rest easy knowing your personal finance data is protected by 128-bit encryption, and your credit score data is protected our trusted partner, TransUnion®.